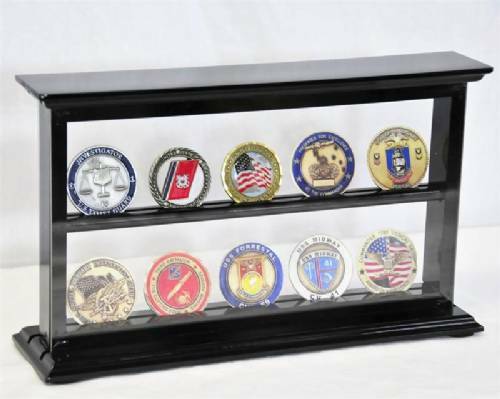 This solid hardwood coin display case is both attractive and affordable. 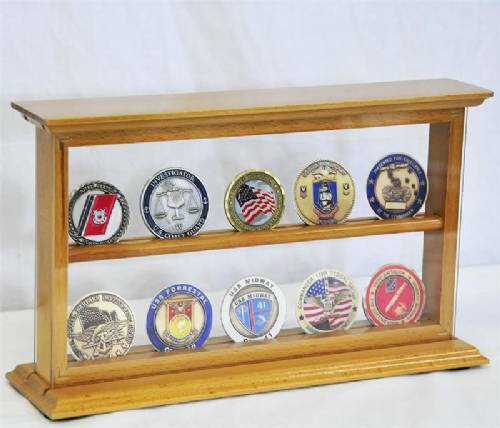 Cabinet features a 98% protective UV acrylic front and back that allows you to view both sides of your coin. 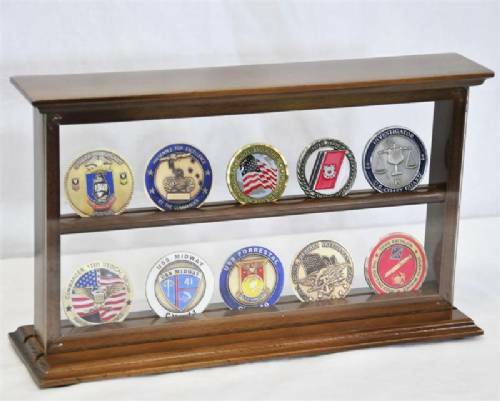 Case features two shelves that can display up to 10 standard challenge coins or other items up to 2 1/4" tall. 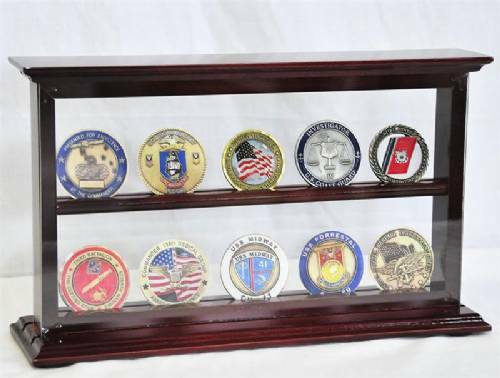 Shelves are grooved to help secure the coins. Cabinet measures 11 1/2" wide X 3" deep X 7" high. Inside depth is 1" and there is 2 1/2" of space between the shelves. Rubber padded bottom makes it scratch free on any surface. 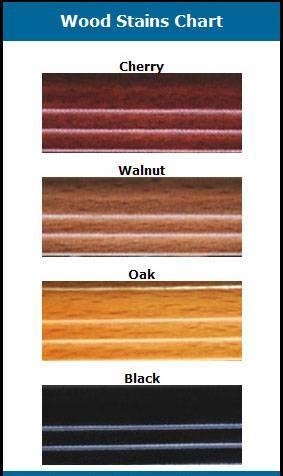 Available in Oak, Cherry, Walnut or Black. A great case at a great price!